Home » The Value of Serendib Herbal Tea » Serendib Gold, best herbal tea to detox. 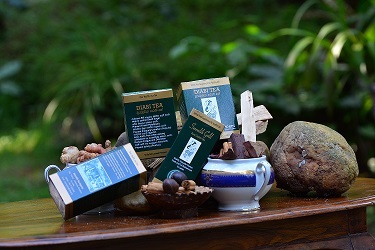 » History of Ceylon Tea » World’s Best Tea Comes from Sri Lanka. Today Green and lushly fertile, the island republic of Sri Lanka lies in the Bay of Bengal, just below the southeastern tip of India. Sri Lanka was formerly a British crown colony known as Ceylon, a name it kept for nearly a quarter-century after independence. As history says, James Taylor made his home in Loolekondera and died 40 years later. James Taylor’s legacy is best summed up in the words of John Field, a former High Commissioner of Great Britain in Sri Lanka. He wrote: “It can be said of very few individuals that their labour have helped to shape the landscape of a country. The beauty of the hill country as it now appears owes much to inspiration of James Taylor, the man who introduced tea cultivation to Sri Lanka”. Today even people who have never heard of Sri Lanka are familiar with Ceylon tea. And with good reasons, Quality, Exquisite flavour, Fresh and Full bodied from Sri Lanka. In Sri Lanka, hospitality means a best cup of tea. There’s greeting, warmth and fine taste captured in it. Misty hills – a quality grown tea from the misty hills of Dimbulla. Grown tea at 5,000 ft and above, this High Grown Tea has a bright liquor and unique flavour . Misty Hills is specially blended to give you that very special flavour. Fresh and full bodied from Sri Lanka. Home to some of the world’s best teas and to the fine people who know them. Of all Sri Lanka’s sparkling treasures “Ceylon Tea” is more vibrant and authenticated, Ceylon tea means hospitality and friendliness impress even the most jaded tea drinkers. Now with the introduction of Serendib Tea by Serendib Holding with every geographical variety like Nuwaraeliya, Dimbula,Lindula, Kotagala, Kandy, and special flavoured Kandy and Ratnapura varieties it should comes as no surprise that our greatest feature is nothing new “Serendib Golden Diabi and Serendib Golden Slim tea”. They still a standard of our great service to customers that guarantee to raise a friendly smile with satisfaction. 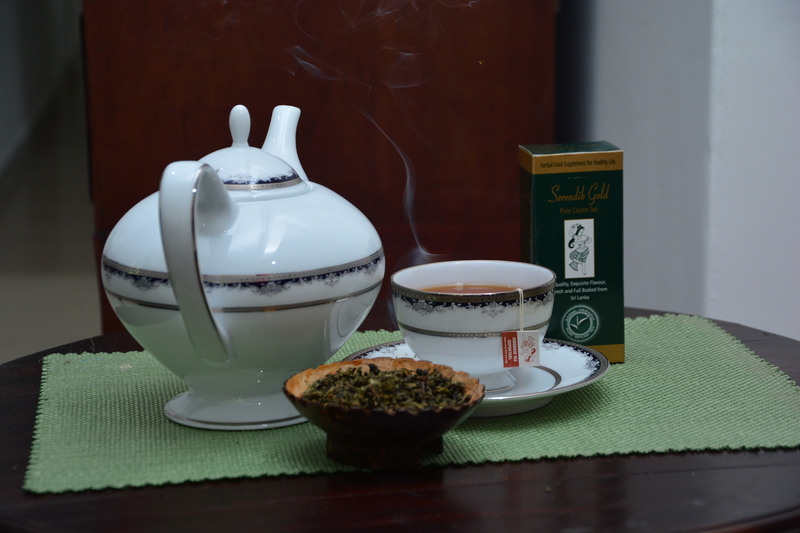 Serendib Golden Diabi Tea is the only natural herbal tea originating from Sri Lanka. We only use single origin black tea from highland estates to guarantee exquisite flavour, quality, freshness and full bodied which is by Pure Ceylon Tea. Our research on Serendib Antidiabetic Tea started in 1999 there after we introduced Serendib Golden Diabi Tea (formally Serendib Antidiabetic Tea)as a testing product first time in in the world in 2004, and we obtained our patent in 2009. We are the first organization to introduce antidiabetic tea in Sri Lanka and in the world to hold patent rights and ITI certificate. This herbal black tea will prevent thirst (polydipsia), frequent urination (polyuria), dehydration, joint pain when walking (claudication), fatigue, dizziness and itching (pruritus). No side effects of any nature as all ingredients are natural. Result is guaranteed. The taste and uplift the effect by right combination of 22 Ayurvedic herbals like Ceylon Cinnamon, Terminalia chebula, Emblica Officinalis, Terminalia Bellirica, Syzygium cumini, Cardamom, and Sandalwood with pure Ceylon black tea. Now the taste is almost like a natural cup of tea and effectiveness has increased due to natural ingredients and it is directly absorbed into blood stimulating insuline production naturally.